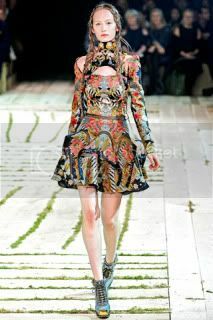 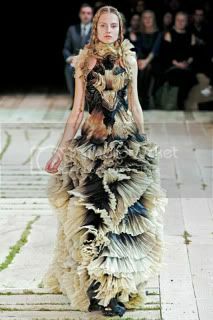 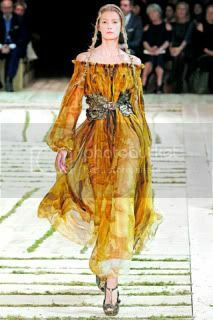 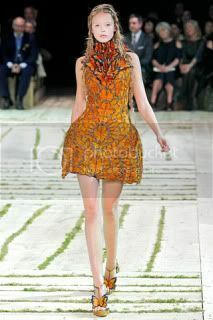 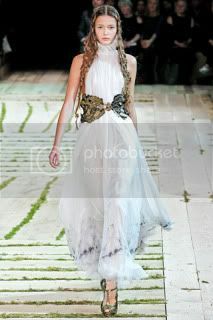 Have you seen Alexander McQueen'S Spring 2011 collection at Paris Fashion Week? 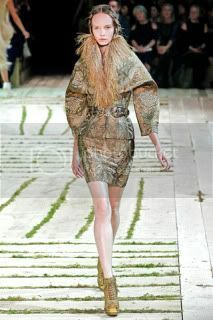 Well, you've got to! 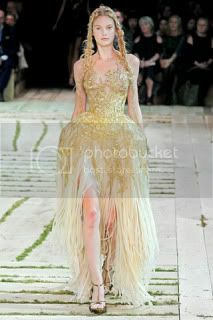 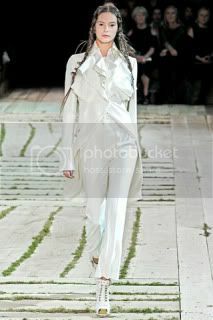 I admire Sarah Burton for being faithful to the McQueen spirit and codes. 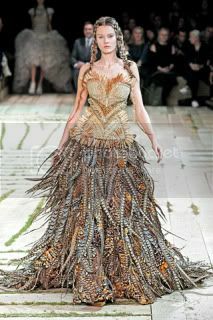 Just like McQueen, Burton used unexpected materials and did not forget to add drama to the runway show.